Apple announced at its October Special Event its new iPad Air 2 and iPad mini 3 units would be shipping this week. Some people have already received their online pre-orders, while Apple retail stores also received limited stock as well. 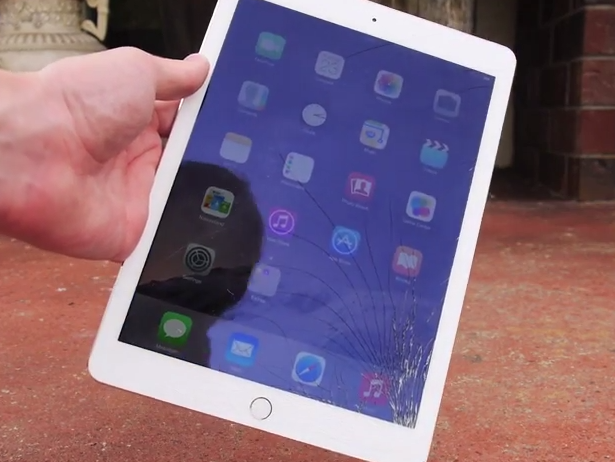 Whenever there’s a new Apple product, there’s always going to be a ‘durability’ drop test, and the first out of the gate is from YouTube channel TechRax, which dropped the fresh iPad Air 2 on its side and on the front glass panel. Check out the video below to see what happened (I’m sure you can use your imagination). What’s next—5K Retina 27-inch iMac drop test? ?